The aluminum fence is coming into its own. Traditional wood fences are classic, but they can rot and suffer insect infestations making them expensive to replace. Wrought iron is a popular choice but it is a high end solution and can still rust if not sealed and painted correctly. Which brings us to the benefits of aluminium fencing. Add stone or bricks to make your fence look more interesting and update your curb appeal. Fences are no longer used only as boundaries but frame your house, garden and swimming pool or patio, adding to your home and its value. 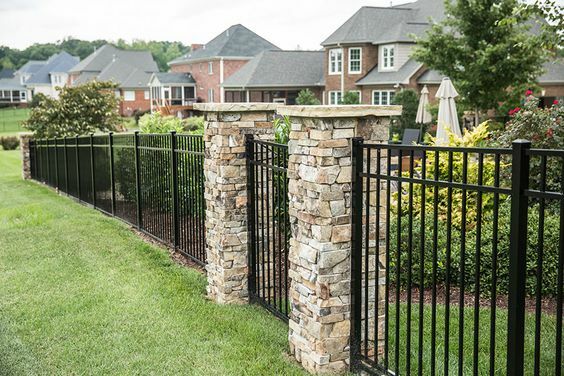 They are a great way to zone areas of your property without putting up solid walls and have a way of making your property look more substantial and expensive. 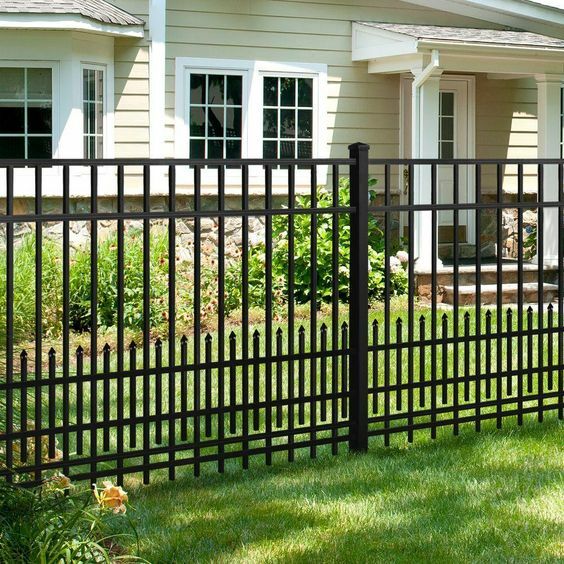 Unlike wrought iron, aluminum fences are strong and durable but won't rust. That means no scraping and repainting every few years. 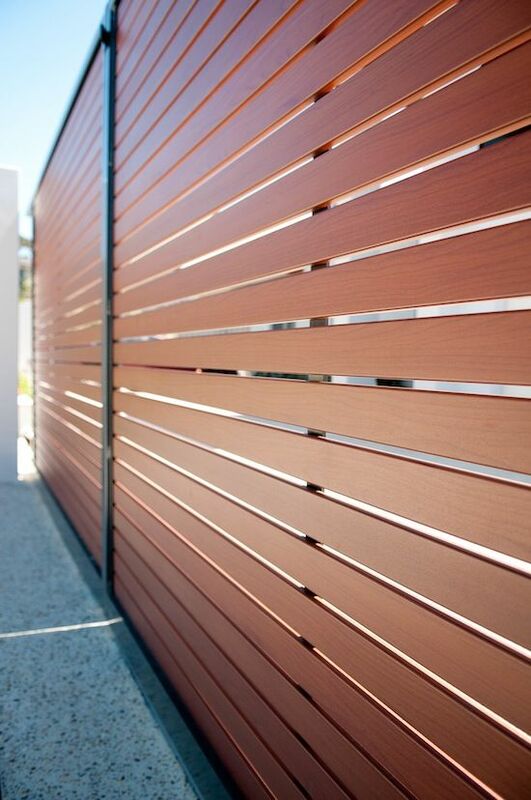 Unlike wood aluminum won't warp or need staining and repainting to keep its finish in tact. An aluminum fence might even outlast your home. Powder coating metal allows you to enjoy a full range of vibrant colors on aluminium. Its simple to paint an aluminium fence the same matte black as a classic wrought iron fence for a fraction of the cost. Matte bronze that looks like brass will always look like new without the green patina after a few years. Aluminum finishes are being updated all the time, like this wood finish below. Its rot proof, rust proof and never needs painting. If you’re looking for an ultra-cheap fence, chain-link fits the bill. 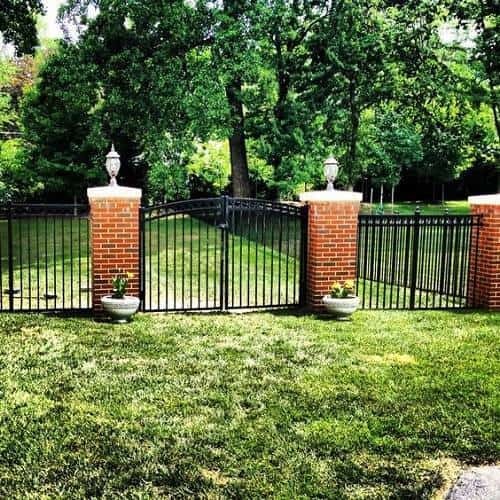 If you want a more stylish and durable fence, aluminum fences are a modern, versatile option. You can add metal bars that resemble iron slats. They go in as readily as steel but are cheaper to install because they aren’t as heavy. They work as automated gates and with less weight, they are cheaper to run. Quick installation is achievable with experienced steel fabricators without sacrificing style, safety or strength. With something so durable, getting rid of aluminum is not difficult. Aluminium fencing is not only recyclable but often made from recycled materials, making them a good environmental choice. 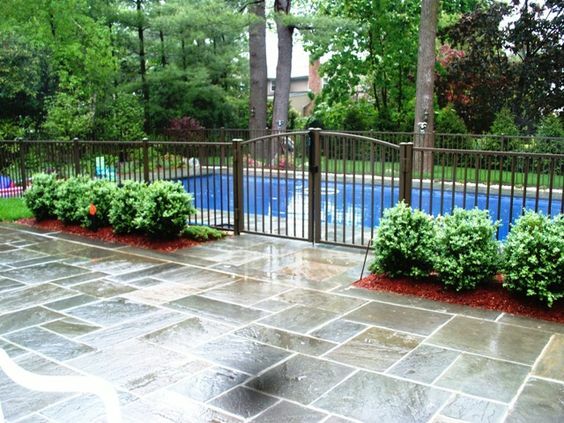 The current choices of aluminum fence styles make them suitable for almost any landscape. Because it is “rackable”, you can have the bars placed at any level. This means bottom bars can be placed close, even on, the ground making sure that neither pets or children can get out through the gap. It can be constructed to make an awkward 60 degree angle at the back corner of the lot or follow the half curve of the property line. 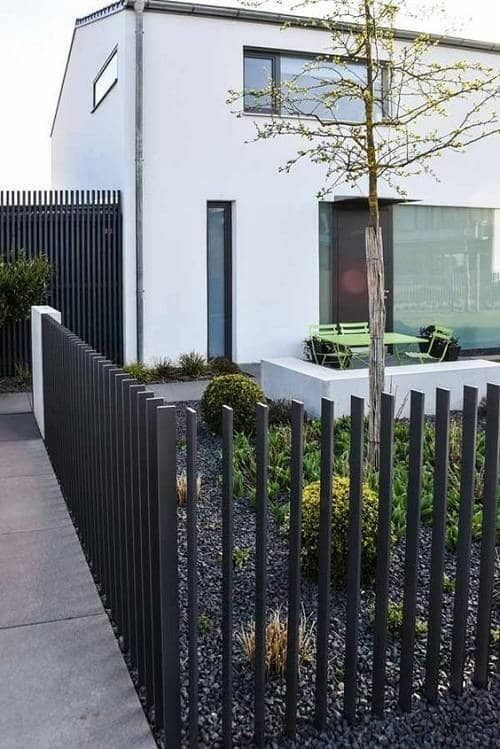 If you need a fence that closely follows the edge of your swimming pool to keep out trespassers while still letting the sun in, aluminium fencing is a good option. Bars can be placed at any interval to give you both security and privacy. Aluminium fencing is an underrated fencing option despite its affordability, versatility, durability and quality. 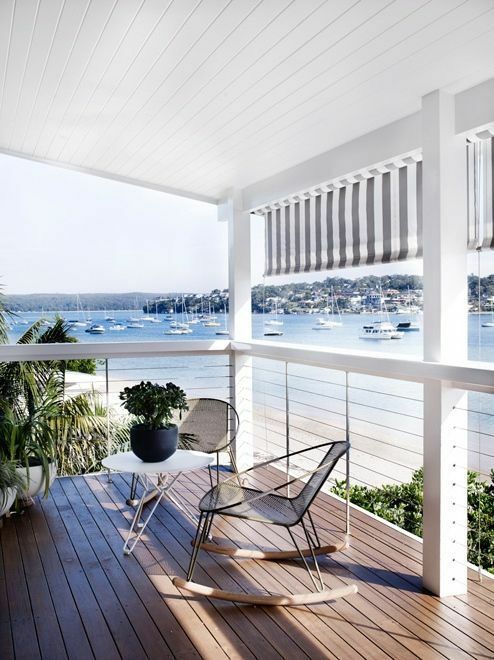 It is also stylish enough that you can do literally anything with aluminium fencing while avoiding the disadvantages of similar fencing materials. We were planning on putting a wood fence in this spring so this is timely! Any suggestions for finding a good supplier? Would any reputable fencing company have his new material? Thanks for the email. That's exciting! You might have to do a little local research to see who is good in your area. Try a google search but good word of mouth recommendations never go astray. See if they have a catalog or some gallery photos to see what range of fences they can do. Most companies handle a wide range of materials so you should be all right. Maybe driving around a town looking at other peoples will give you an idea what you like. If others have one then it should be available close. If it is one you "really" like you could ask them where they got it. Let's them know theirs looks good. 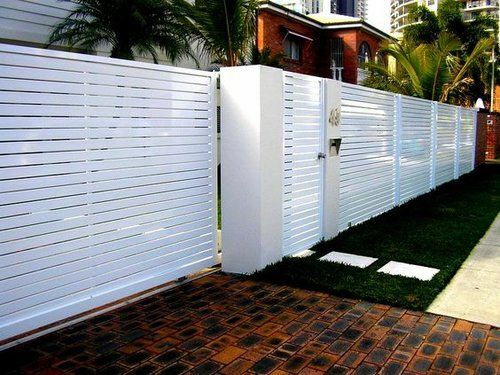 These are great ideas for aluminum fences! What you listed here are the reasons why I would prefer aluminum than wood all day. Just talking about sustainability, aluminum fences will make way less expenses long term. Yes, Adrian, I love them too. I love wood fences too but if we are talking long term, aluminum fences are a great investment.